36 young participants from 6 EU countries will meet in Romania to analyse challenges related to non-sustainable food production trends in our society. Can we find solutions for social issues connected to food production in the EU? 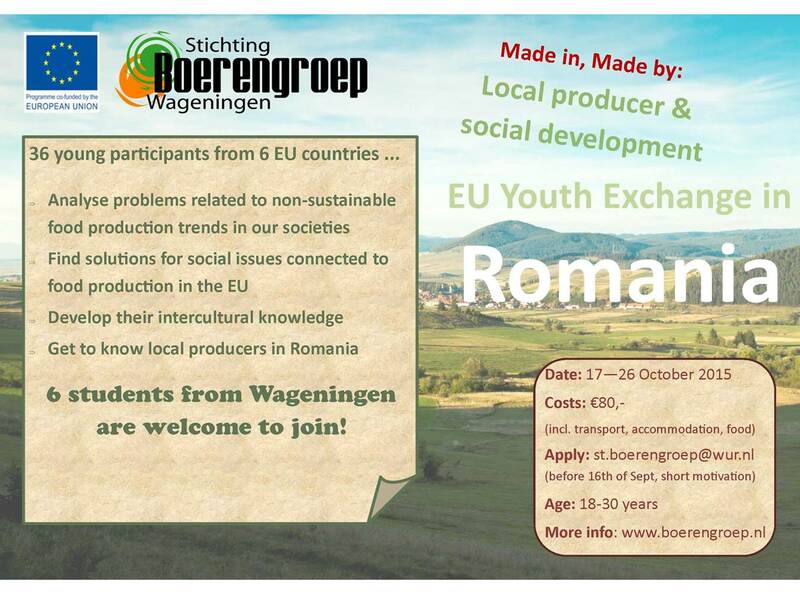 Develop intercultural knowledge, get to know local producers in Romania and have a wonderful trip!